Nerf Night/ Concessions 6:00 pm – 8:00 pm in Legacy Academy gymnasium! This is an excellent time for families to play together. Parents are encouraged to play! Ages 7 and up (6 yr olds may play if a parent is in the gym with them at all times, but all parents should stay for the event). The cost is $10.00 per person. Students may not bring their blasters to school during school hours. Bring your own blaster to the event. Do not bring darts or discs. Protective eyewear is provided. Parents will be required to sign a waiver prior to this event, no exceptions will be made. The waiver will be available at the office during school hours or at the event. If any questions, please e-mail LABOD@legacyk8.org. Yearbooks are on sale for $25. You may order online or submit a paper order at the front office. Order forms are available at the front office or download the yearbook order form here. Orders due March 1st. Treat your family to dinner on Wednesday, March 13th from 2:00-8:00 pm and support Legacy Academy 8th– graders going on the DC, NYC, Pennsylvania trip (20% of the proceeds raised support the kids)! Be sure to mention you’re with Legacy Academy when you order & get your pizza. Please give them this flyer or show the flyer on your cell phone. Kindergarten Graduation May 17, 2019, 5:30 pm. Eighth Grade Graduation May 20, 2019, 6:00 pm. We are putting together a team for summer lawn care. We will need to mow and weed whack the property three times over the summer. Please e-mail Anne at anne.stanley@legacyk8.org if you can help! Do you have a corner lot or a highly visible location where you would be willing to advertise our school with a yard sign? We are looking for people who will place a sign in their yard for a three month period, you will receive three hours of volunteer time. Please e-mail information atinfo@legacyk8.org or call the office if you can help! Thank you. Adopt a Month! Help clean-up the property! You can make this volunteer opportunity a family affair! Bring the whole family, some trash bags and gloves and help clean-up the Legacy Academy property. Each hour that each family member cleans counts towards your hours. This does not have to be completed during school hours, e-mail anne.stanley@legacyk8.org. ROAR Assembly 8:15 am in the cafeteria. Silver Spoon Award 2:30 pm in the cafeteria. Second-grade field trip to Wildlife Experience. Middle School Dress of Choice. Heart Challenge Day! Kindergarten through Fifth grade will participate in jump rope activities to raise funds for the Heart Challenge (formerly called Jump Rope for Heart) All fundraising forms are due today! If possible have your child(ren) wear a red uniform shirt and make sure they have their tennis shoes on or with them. Mother/Son Event 6:00 pm – 8:00 pm More information to come soon. Daylight saving time, move your clock ahead one hour. LA Governing Board Meeting at 6:30 pm. Middle School Dessert Bar (third Quarter) 2:30 pm in the cafeteria. 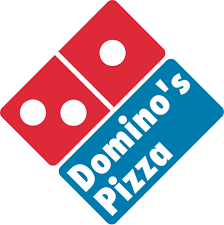 Eighth-grade Elizabeth Domino’s fundraiser 2:00 pm – 8:00 pm All orders placed by Legacy Academy student body will contribute twenty percent of the proceeds towards the eighth-grade trip to New York, Philadelphia and D.C. Orders can be placed online at Domino’s.com. Please make sure you are ordering from the Elizabeth location or call in your order at (303) 785-7575. Also, make sure when you place and pick up your order that you make them aware you are with Legacy Academy! Your support is greatly appreciated! Crazy Hair Day $2.00. Students can wear crazy hair and dress of choice. Beginning and Continuing Band Concert at 6:30 pm in the gymnasium. No School / Teacher Inservice. Monday, March 18th through March 22nd Spring Break! Wishing everyone a great break with safe travel! Everyone returns from Spring Break! Fifth-grade field trip to Young AmeriTowne. Sixth & Seventh-grade field trip to International Towne. Eighth-grade field trip to The Cave of the Winds. Middle School Career Day 12:30 pm to 2:30 pm. Stampede to Read Assembly 2:30 – 3:00 pm gymnasium. Our school is in FULL Kids Heart Challenge swing with the American Heart Association. Don’t forget to register and join in on the heart healthy fun. It’s easy, and with your first donation, you can earn two of our heart heroes, Echo and Finn and a glow in the dark wristband! Most schools can only earn 3 heart hero characters right away, but because our school rocks, our students can earn them ALL instantly when students sign up online www.heart.org/kidsheartchallenge to view our School Webpage and SIGN UP or by downloading the Kids Heart Challenge app in the App Store (search Kids Heart Challenge), available for iPhone and Android. Earn our official Glow in the Dark Heart Hero Member Wristband just for registering online and taking a healthy challenge! CLICK HERE to watch the heart-healthy experience that students are having at school! Need Help? View How to Sign Up! We are raising funds to help the AHA do life-saving research and to help our PE department earn new equipment! This year students don’t have to wait until the end of our event, March 8th, to earn all of our Heart Hero friends instead you can earn them all INSTANTLY!!! Plus, the top overall student gets to be either principal or PE coach for the day AND the class that raises the most gets a free fun day in PE class with a popsicle party – but that’s not all if our school hits our $8,000 goal Mr. Naber will get pied in the face!!! Your heart heroes come to life through the APP! Father/Daughter Dance 6:00 pm in the gymnasium. More information can be found here. To raise money for the DC trip, 8th grade will be selling breakfast burritos for $2 each at the departure end of the morning carpool line on Tuesday, February 11, and Wednesday, February 12. If you do not see us in your line, swing around to the other side of the school. Registration is due for 2019-20 on February 15th. If you are coming to conferences, please stop by the computer lab to pay your fees or set up payment arrangements if you haven’t paid yet (don’t forget your debit/credit card so that we can set up a reoccurring payment). We also accept check, cash or card (not American Express. We will have computers available if you wish to complete registration at the school. Parents and students the next session of Legacy’s Reading Club will be starting next week on Wednesday, February 20th. This club is open to all 3rd – 5th-grade students and space will be limited to just 12 students. Permission slips are available at the front office. If your student would like to attend please fill out the permission slip and send in $12 no later than Monday, February 18th.